Senator Sessions was asked during a confirmation hearing whether he had ever supported the death penalty for individuals twice found to be cannabis dealers. Senator Jeff Sessions (R-Ala.), nominated by President Donald Trump to serve as the next Attorney General, was asked during a confirmation hearing whether he had ever supported the death penalty for individuals twice found to be cannabis dealers. Though his answer was equivocal, we’d like to set the record straight on Sen. Session’s comments. The positions adopted by Sen. Sessions that were referenced during the hearing date back to the mid-1990s. Sessions, then the Alabama attorney general, made clear his support for a state bill – known as H.B. 242 in the state House and S.B. 291 in the state Senate – that would have imposed a mandatory death sentence on individuals convicted a second time for drug trafficking. The proposal extended to individuals who trafficked in any illicit substances, including cannabis. The measures received extensive – and often unfavorable – media coverage. They were deemed as being all but unconstitutional by the area newspaper The Huntsville Times, seeing as how the Supreme Court in 1987 had placed an unequivocal ban on the imposition of mandatory death sentences. The bills were ultimately never agreed upon and did not pass. 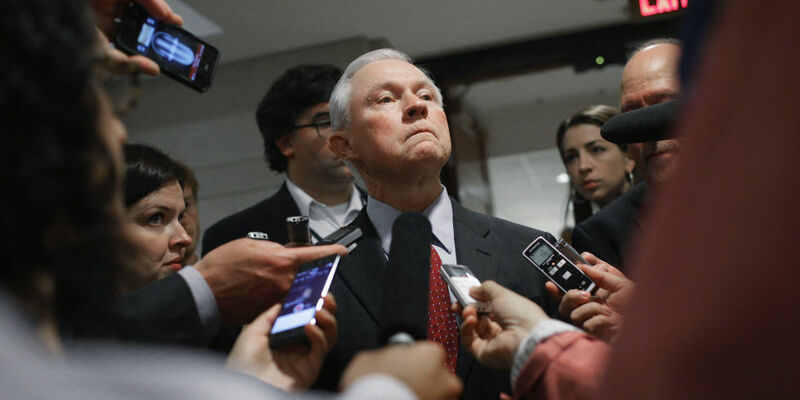 Aside from his positions on refugees – a policy area that has inflamed passions ever since President Trump placed a temporary moratorium on refugees from select countries – Sen. Sessions’ anti-cannabis views have received a relatively large amount of coverage throughout the confirmation process. In a recent confirmation hearing before the Senate Judiciary Committee, Sen. Sessions refused to say whether he would defer to individual state laws in determining whether to target and prosecute those who use cannabis. It’s not so much the attorney general’s job to decide what laws to enforce. We should do our job and enforce laws as effectively as we’re able. The senator appeared to backtrack when he praised many of President Obama’s positions on the cannabis front, including that which resulted in the federal government all but turning a blind eye when multiple states across the country loosened their cannabis regulations. The senator lambasted comments in 2014 by then-President Barack Obama in which the president appeared to suggest that cannabis use was no more harmful than alcohol. Did the president conduct any medical or scientific survey before he waltzed into The New Yorker and opined contrary to the positions of attorneys general and presidents universally prior to that. Sen. Sessions has attracted some high-profile opposition among his former colleagues, with Democratic Sens. Cory Booker (N.J.) and Michael Bennett (Colo.) both signaling varying degrees of opposition to Sessions’ appointment to the attorney general position.